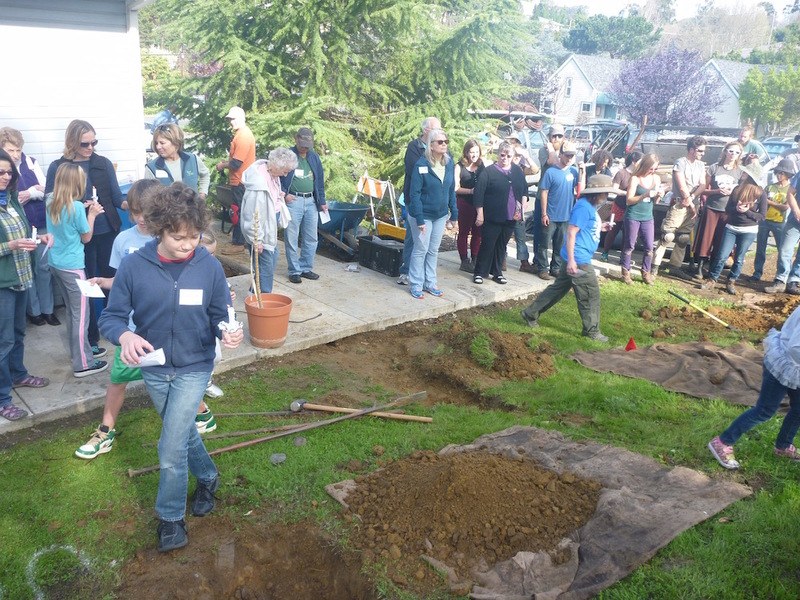 “We have gathered here today on March 8, 2014, to plant Benicia Community Orchard and to celebrate the beginning of a community of people united by a common vision of local abundance and our reverence for the Earth. A group of people gathered around a bare slope of land is slowly repeating these words. Children and adults are holding eighteen lit candles – according to the number of trees they are about to plant: apples, pears, apricot, almond, figs, Asian pears, plum, persimmon, pomegranate, and oranges. They carefully place the burning candles in the designated spots for each tree, and then the work begins. It’s a hard labor. 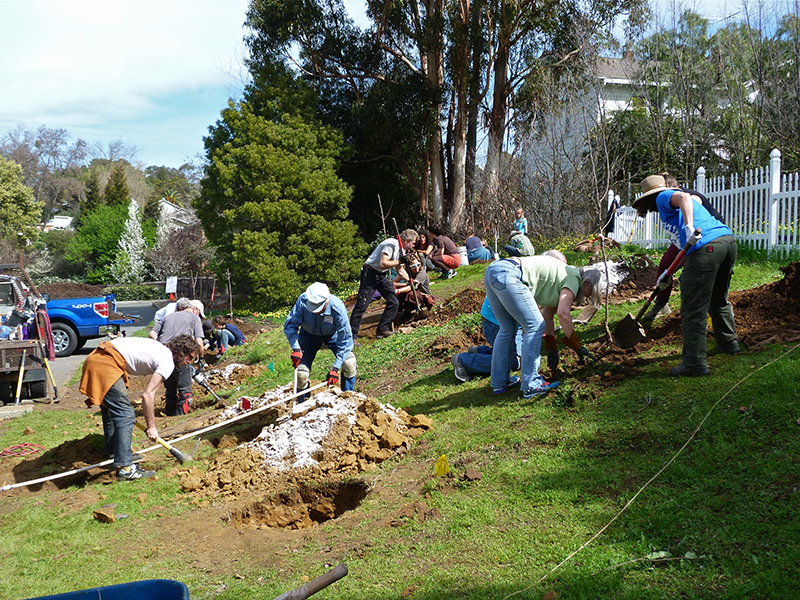 The soil is difficult: mostly hard-packed clay and Devonian era sandstone. 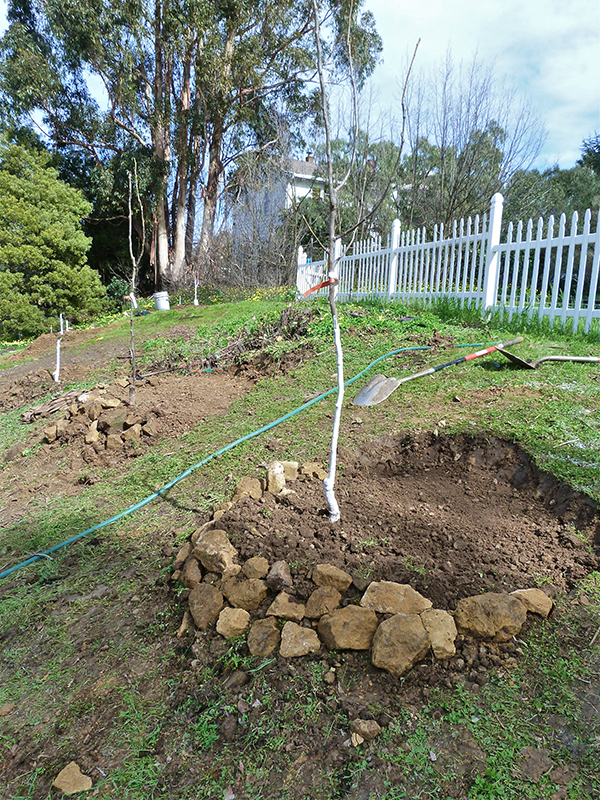 They are digging eighteen holes and a trench for the drip irrigation system using pickaxes and shovels, and occasionally a jackhammer. 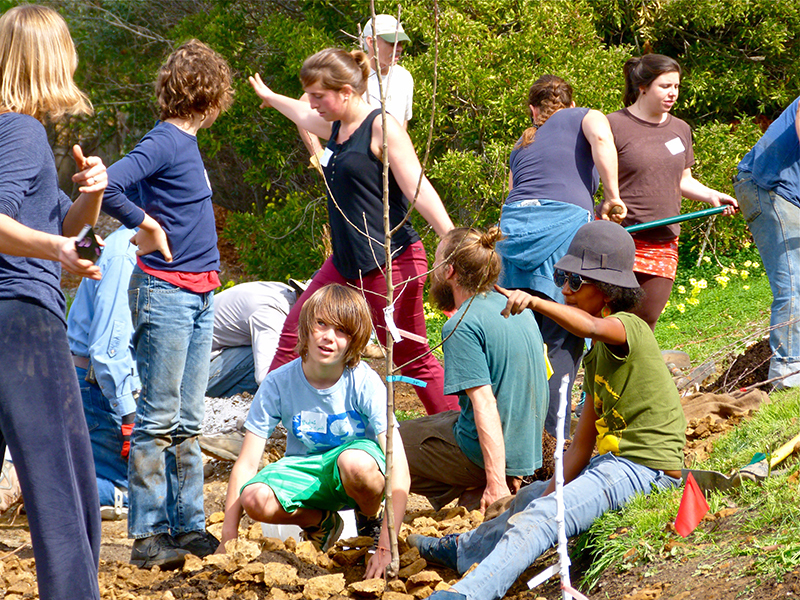 They are moving in organic rich soil and preparing bare root trees for planting. They eat lunch together, laugh and even dance. Children are painting signs for each tree. 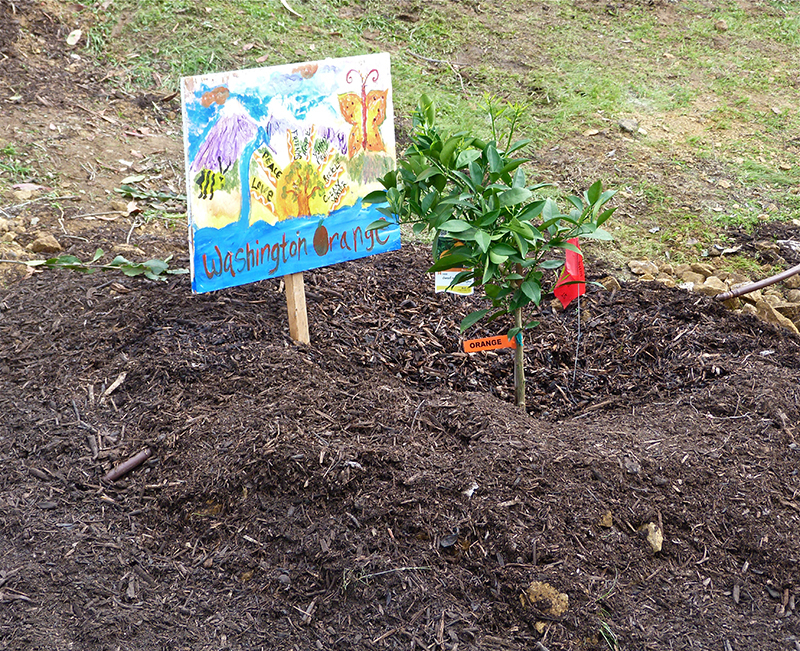 Mayor Elizabeth Patterson pays a surprise visit… At the end of the day, the eighteen tiny trees are happily resting in their new places, surrounded by good soil, a healthy mix of organic fertilizers, and bright happy signs bearing their names. 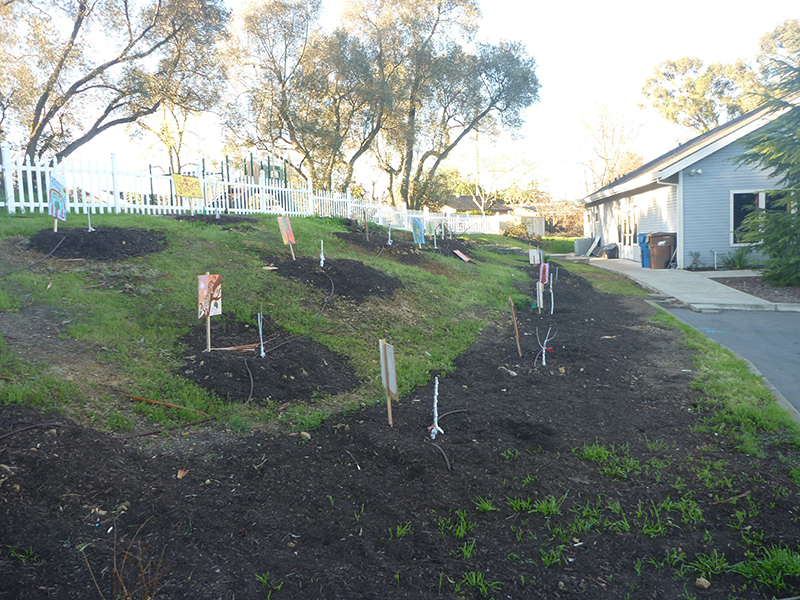 This was a sight from the Benicia Community Orchard planting. 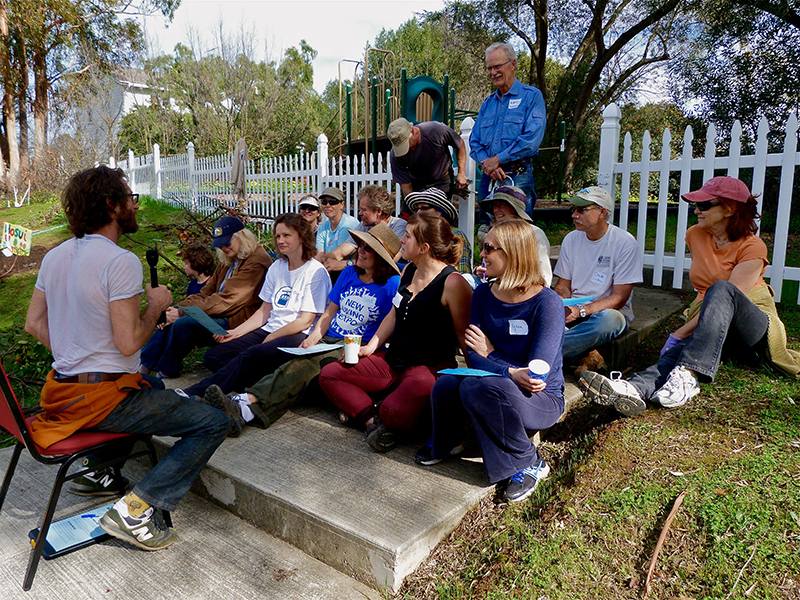 The people who made it all happen in one day are the members of the Benicia Community Orchard, the angel helpers from a non-profit organization called “Common Vision” dedicated to planting orchards throughout California, and members of Heritage Presbyterian Church – the host location of the new Orchard. 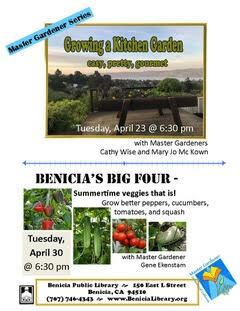 Benicia Herald article here (http://beniciaheraldonline.com/sharing-the-harvest-community-gardens-to-dedicate-orchard-site/ ).